Strong nylon material with sturdy folding metal frame, packed in easy to carry nylon bag. Bag Size: 850 x 150 x 150mm. Print: 100 x 100mm ( Bag) 200 x 80mm ( Chair). Brand: Screen. . 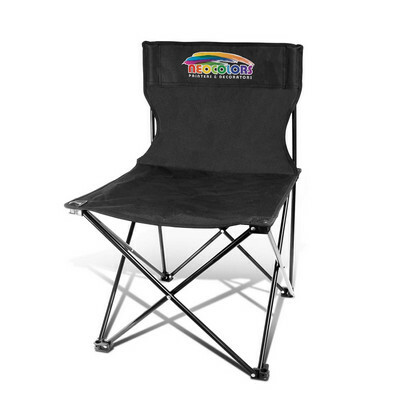 Affordable folding chair with its own carry bag which is ideal for camping, the beach, picnics, events etc. It is manufactured from 600D polyester with a plastic waterproof coating which prevents the fabric from retaining moisture when wet. Calgary has a strong powder coated steel frame designed for a static weight loading of up to 100kgs. Colours: Black. Dimension: H 680mm x W 440mm x 430mm. 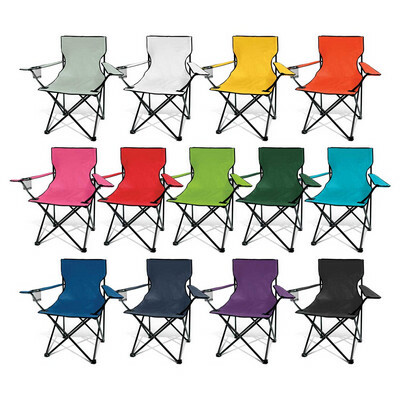 Print Description: Chair - Front and Back: 270mm x 60mm. Print Type: Digital Transfer. Packing: Carry bag. 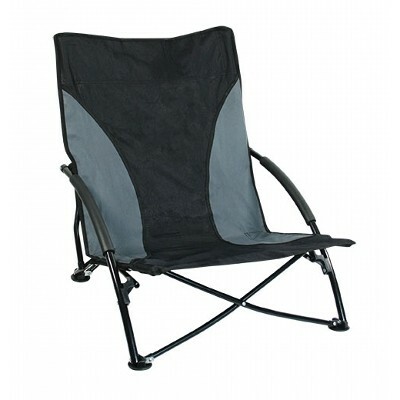 Robust folding chair with comfortable arm rests, a mesh beverage holder and its own carry bag which is ideal for camping, the beach, picnics, events etc. It is manufactured from 600D polyester with a plastic waterproof coating which prevents the fabric from retaining moisture when wet. Memphis has a strong powder coated steel frame designed for a static weight loading of up to 150kgs. Colours: Grey, White, Yellow, Orange, Pink, Red, Bright Green, Dark Green, Light Blue, Royal Blue, Navy, Purple, Black. Dimension: H 800mm x W 840mm x 480mm (including arms). Print Description: Chair - Front and Back: 300mm x 70mm. Print Type: Digital Transfer. Packing: Carry bag. Portable folding stool that weighs only 500 grams which is ideal for camping, the beach, picnics, events etc. It has a strong powder coated steel frame designed for a static weight loading of up to 100kgs. The seat is manufactured from 600D polyester with a plastic waterproof coating which prevents the fabric from retaining moisture when wet. Colours: Black. Dimension: H 390mm x W 285mm x 285mm. Print Description: 100mm x 100mm. Print Type: Digital Transfer. Packing: Individual bag.